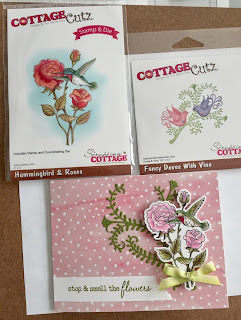 CottageBLOG: Stop and Smell the Roses! It's Jeanne here today sharing a card featuring some of my favorite things - hummingbirds, roses and Prismacolor pencils! 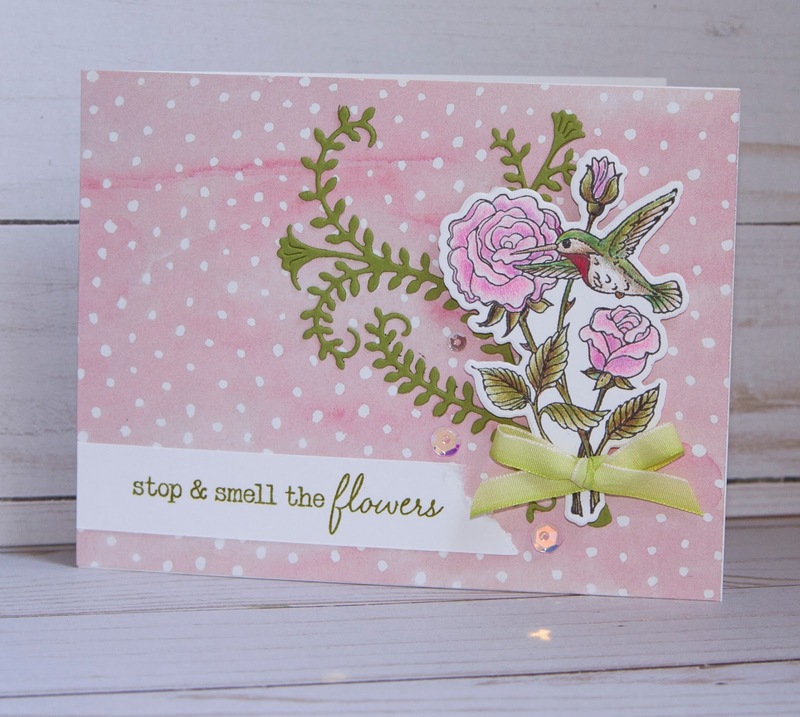 This beautiful stamp and die set is part of the new release set to be available September 20. This is an A2 side fold card. The base is 11 x 8 1/2 inches, scored at the 5 1/2 inch mark. I cut a piece of patterned paper 5 1/2 x 4 1/4 to completely cover front. I first picked out the patterned paper and then matched the colors for the rose to it. 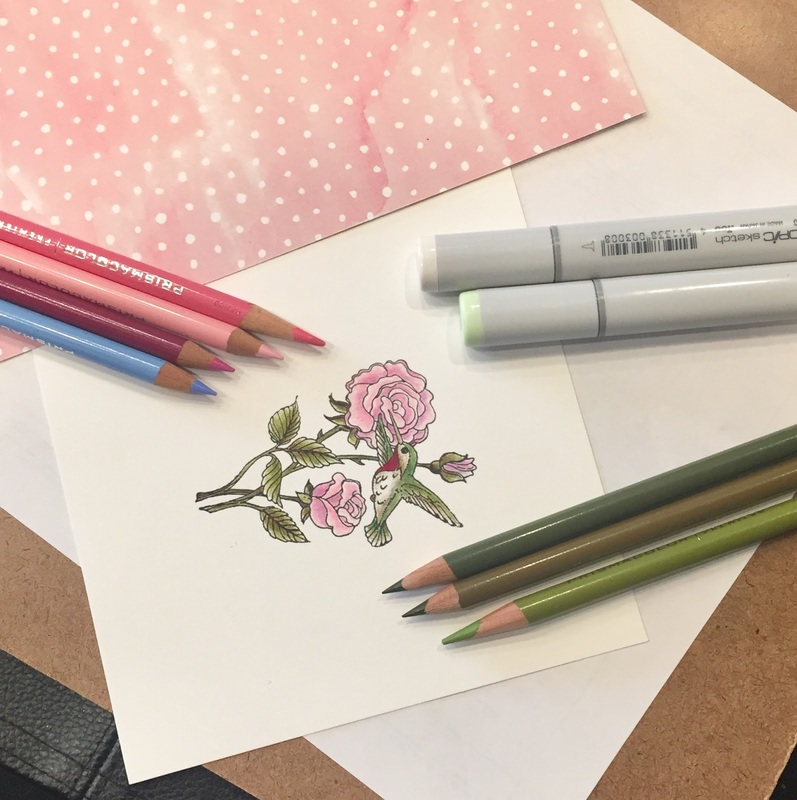 I used Copic markers under the colored pencils. 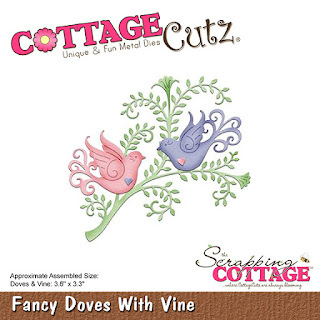 Next I die cut the foliage from the Fancy Doves with Vine die set and glued it directly to the card. 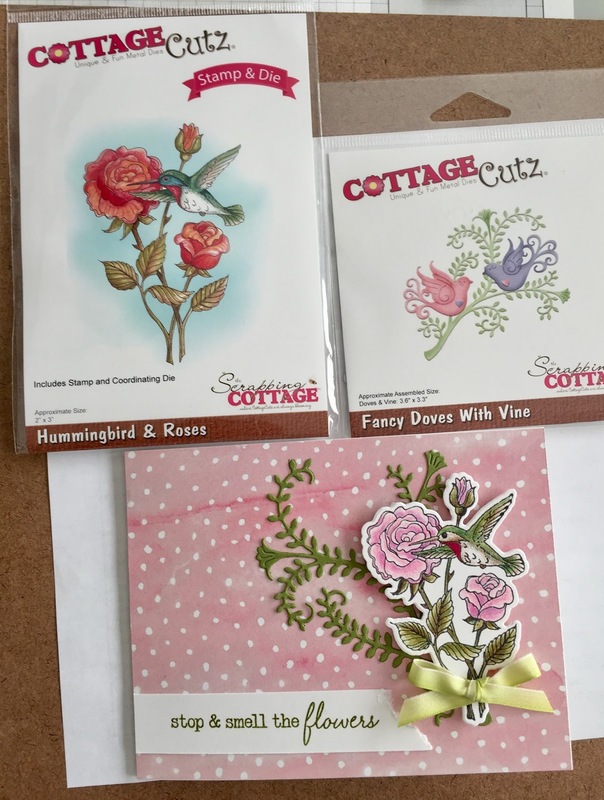 I then die cut the bird and roses. 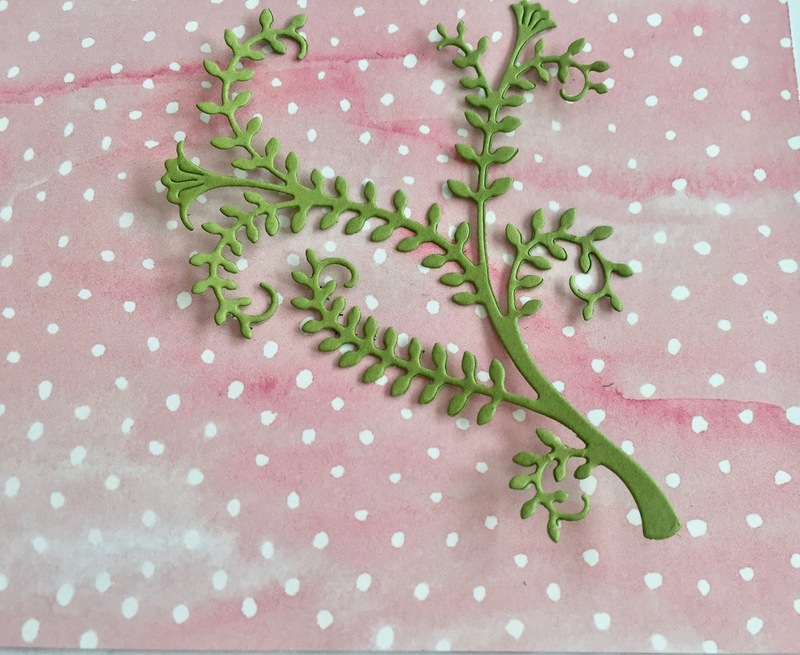 I tied the ribbon on the bottom of the die cut and popped it off the card using foam dots. My last step was to add the sentiment and some sequins. I decided to rip the edge of the sentiment strip to give it a more organic feel. I hope you enjoyed today's card. This is such a pretty stamp and die set - I had so much fun coloring it and creating this card! 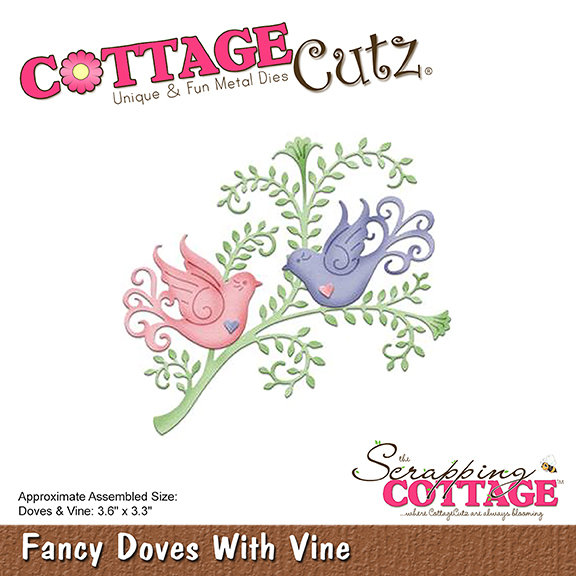 Remember - the new dies will be available September 20 and the website ordering will be down until that date due to Cottage Cutz big move to a larger space. Keep that wish list going! Very pretty loved the combination of die and stamped image! 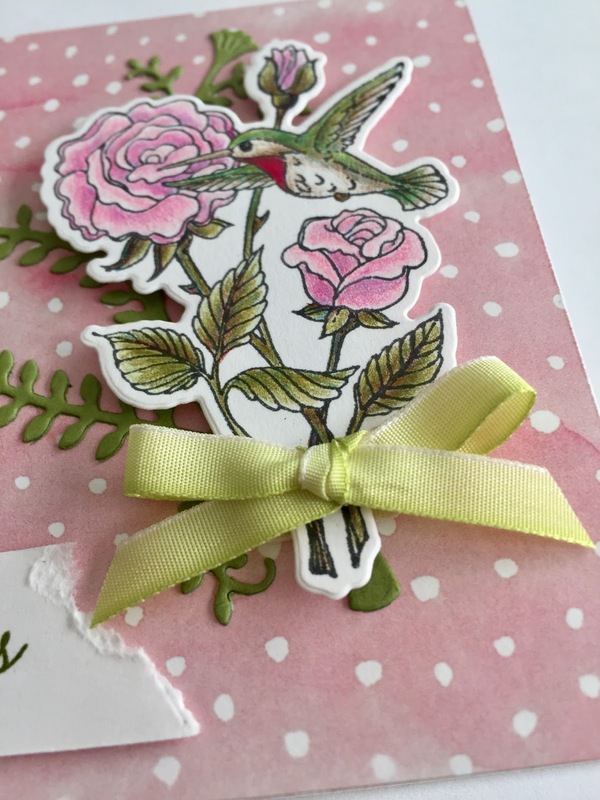 You've created a very soft and beautiful card. Lovely! 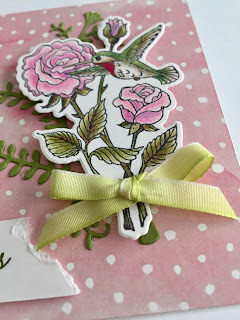 Such a pretty, very feminine card. 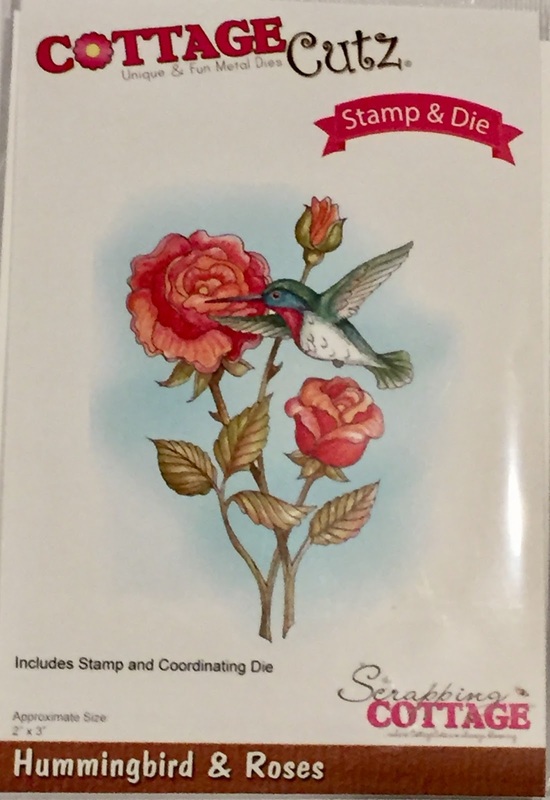 Love how you combined the foliage with the roses/hummingbird.